Do you have the type of girlfriend who scorns roses and tuts when you buy her something that has “no use”? Well, these DIY gifts for Valentine’s are not only homemade, but they’re also practical too. Instead of digging around for magnets to stick up photos of you and your partner on the fridge, why not make your photos into magnets themselves? It’s simple! To make your DIY gift magnet, start with shrinking your photos down using photo-editing software such as Photoshop. 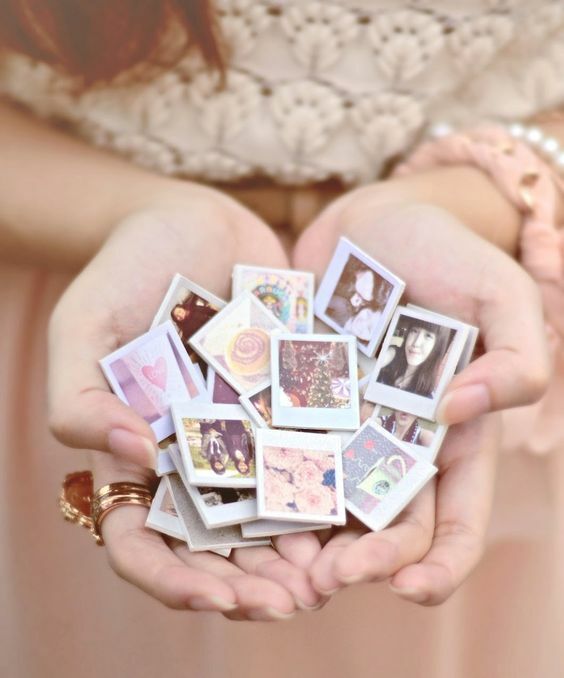 Print and cut out the photos into small polaroids. Glue it to a piece of cardboard and attach a magnet. Et voila! Anyone who’s had to keep house knows that there can never be enough towels at home. Get your partner some towels for their bathroom and kitchen, but turn them into DIY gifts by adding a personalised touch. If you know how to sew, monogrammed towels can be an old-fashioned but classic way to make a towel, theirs – but well, yours too. And for those less well-acquainted with the needle and thread, there are always the irons-ons. 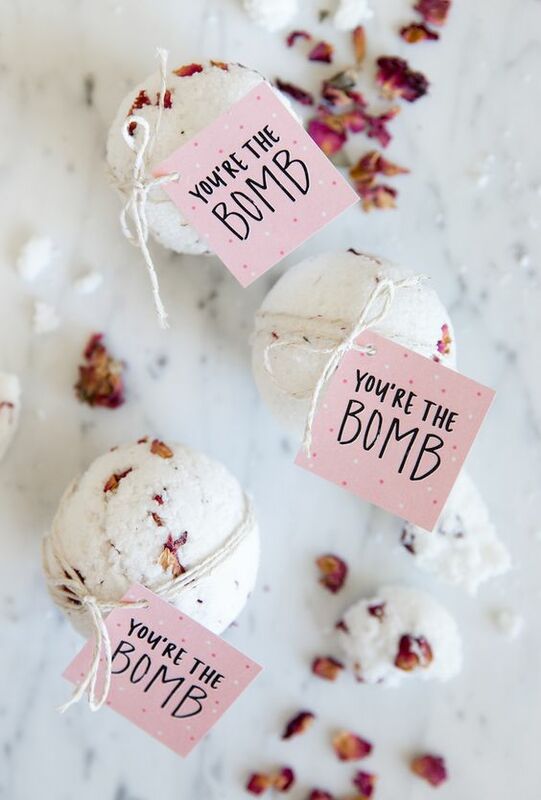 No need to pay 10 dollars apiece for these fancy treats because bath bombs make simple but useful DIY gifts. Here’s what you’d need: Baking soda (1 cup), citric acid (1/2 cup), salt (1/2 cup, epsom or sea salt), corn starch (3/4 cups), oil (2.5 tbsp, olive, almond or coconut), water (1 tbsp), essential oil and food colouring. 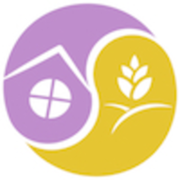 Mix the dry ingredients (baking soda, citric acid, Epsom salt, corn starch) together in a large bowl. Whisk the mixture to remove any clumps. The mixture should now hold together without crumbling when squeezed. Quickly push the mixture into molds, such as greased muffin tins. Press in firmly and leave to harden over 1-2 days. When dry, store in an airtight container or bag. 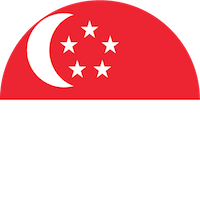 Use within 2 weeks. Choose relaxing scents like lavender or peppermint to help your significant other unwind after a long day at work. Pink or red food colouring is also perfect to make your bath bombs oh so Valentine’s. Grab a jenga set, some colourful markers, and get to work! You can include personal questions like “What is your favourite trait of mine?” or orders like “give me a kiss”. These DIY gifts are a beautiful addition to one’s bookshelf or desk, and great to keep accessories, or private items, in order. Carefully remove all of the pages of the book using a penknife. 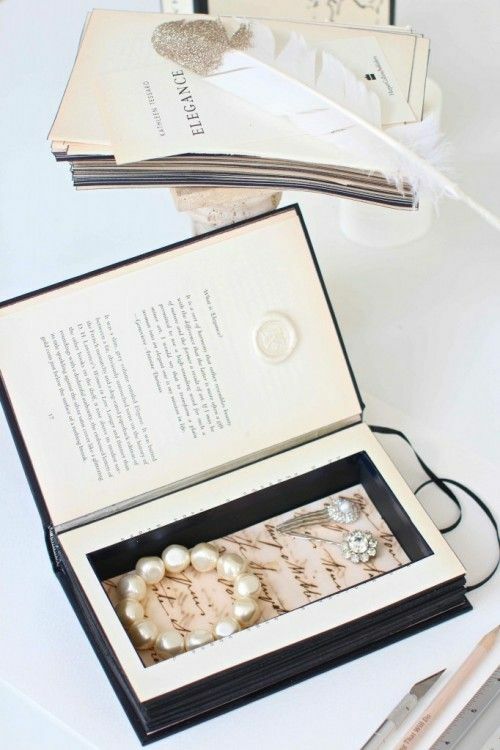 Use corrugated cardboard to form a box in the empty space in the book. Or insert a box into the book. Paint the edges of the box to give the appearance of pages. Got someone with a green finger? Make her house (or office) look oh-so-sophisticated by fancy-ing up her pots of green. Wind some twine around a clay plant holder and secure using a glue gun. 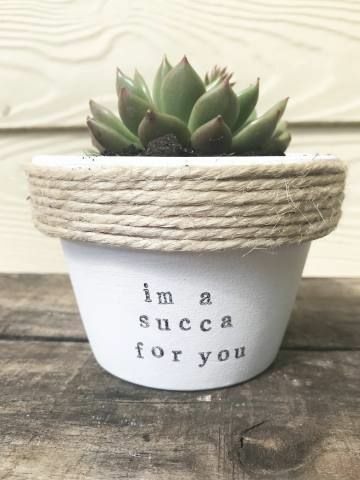 Use a print set to print some lovely messages (or plant puns) on the holder. If your partner is the kind to decorate their entire apartment with plants, check out these DIY mini planters you can make with repurposed materials. Okay, calling snow globes practical might be stretching it a little. But they are gorgeous ornaments to have around your home. Create this DIY gift by using an with an empty mason jar and cut out hearts or pieces of ‘snow’. Try personalising it by placing symbols of your relationship in your jar. Snow globes look more attractive if they’re filled with water, but make sure that all the items in your globe are waterproof! 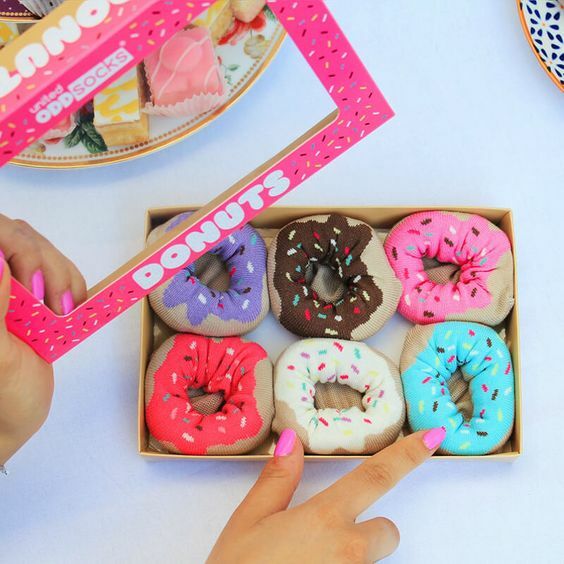 Save your partner’s wrists from a long day of typing at work with these cute donut cushions that serve as wrist supports. Cut off the toe-end of a sock. Invert the sock such that you get a donut-like shape, wrapping bean or cotton filling into the cushion. Adjust the sock such that the edges of the sock are visible on the flat side of the cushion. Cut-out a donut-topping pattern from felt cloth. Glue the felt donut-topping onto the donut, hiding the edges of the sock. 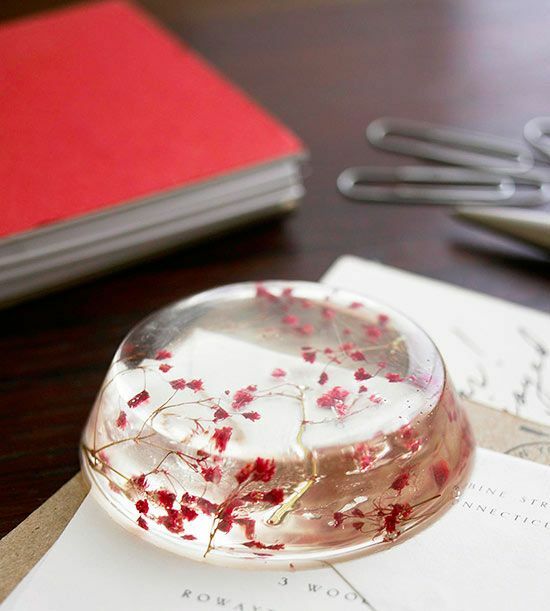 Add some sparkle to her desk with this fancy paperweight all her co-workers will be asking where she got from. Materials: Epoxy resin, polyamine hardener, fondant mould, dried or pressed flowers. Pour a 1:1 mixture of epoxy resin and polyamine hardener into the button-shape fondant mould. Add the dried flowers into the mixture from the back, pushing it in with a toothpick. Let dry 24 hours before popping resin out of the mould. 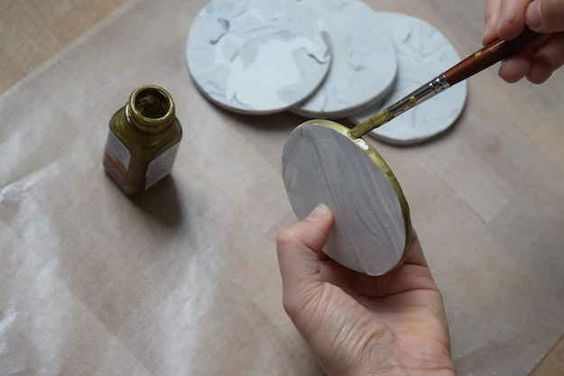 Next time you two are having drinks over dinner at home, make sure to make these DIY gifts that are marble-like, classy and fancy-looking coasters. Mix the different coloured clay together to get a marble pattern. Roll the clay into a ball and flatten with a rolling pin. Aim to achieve a uniform thickness of around 1-2 mm. Use the round cookie cutter to cut out a clay circle. Bake the clay circle over a baking sheet at 140°C for 20 minutes. Sandpaper the coaster to make it smooth. Paint the edges of the coaster with gold paint and leave to dry. Having a night-in on Valentines Day? Decorate your place to get in the mood of the occasion. 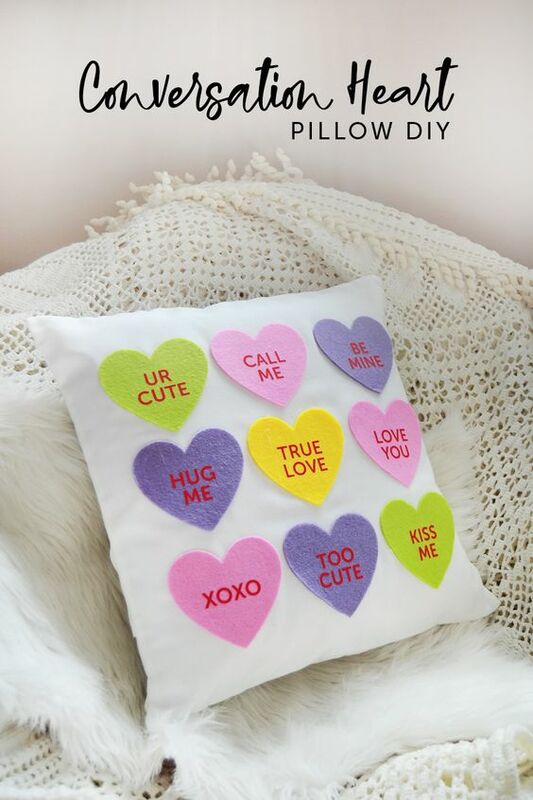 If you’d like to design the hearts yourself, you can make normal felt cloth patches iron-on patches by ironing-on a fusible iron-on web to the back of the patch. Iron-on the patches “Yes” and “No” onto different sides of a pillow. You can display this pillow on their bed and flip the side according to your mood. Because sometimes actions, ahem, speak louder than words. Don’t fret if you think none of these items is something you can create, of course, it’s still up to you if you want to buy instead of DIY gifts. At the end of the day, cliche as it is, it’s always the thought that counts.